When I first met Cory I camped four times in my life. I remember vividly going camping with my Dad over a short weekend with my sisters. I went once with our 5th grade class in California with Mr. Zimmerman. The last two times were with my uncle, aunt and cousins. My Mom loathed getting dirty or having us dirty in any shape or form. Dirt was not something we were ever encouraged to play in or be around. I can't say it bothered me because I didn't know, at the time, how much fun it was to get dirty and muddy. I think we have a pretty good system camping. We have learned a lot along the way. Last weekend we took Finnley on her second overnight camping trip. Sleeping in our trailer was much better than a tent. Our bed's soft mattress is more comfortable than the hard ground to sleep on. Much of the noise from outside was silenced by the canvas walls. I can't say I had a perfect night sleep but she is becoming more adjusted to the idea each time we take the family camping. She is our only baby, so far, that has not adjusted to having her schedule disrupted. My other three kids had no problem sleeping in strange places, at different hours and with odd noises. During the day Finnley is a gem. She goes with the flow. We bring a few things along that help us to keep her busy and entertained. These items also free up your hands when I am trying to unload the car, make dinner or set up the trailer. I found that this variety of items keeps her happy too. I have included a few other items that are a must for our "home-away-from-home" excursions. Keep in mind that Finnley is 8 months old. My list is designed for babies that are between 5 months and 1 year of age. 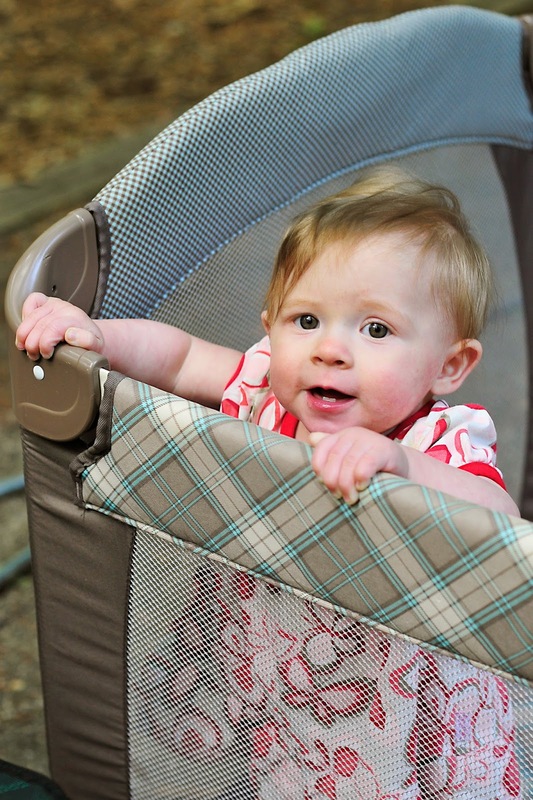 Take your babies age and abilities into consideration when packing the car full of baby equipment. 1. Port-a-crib is a requirement for us. If nothing else can fit in the car but this, we bring this. 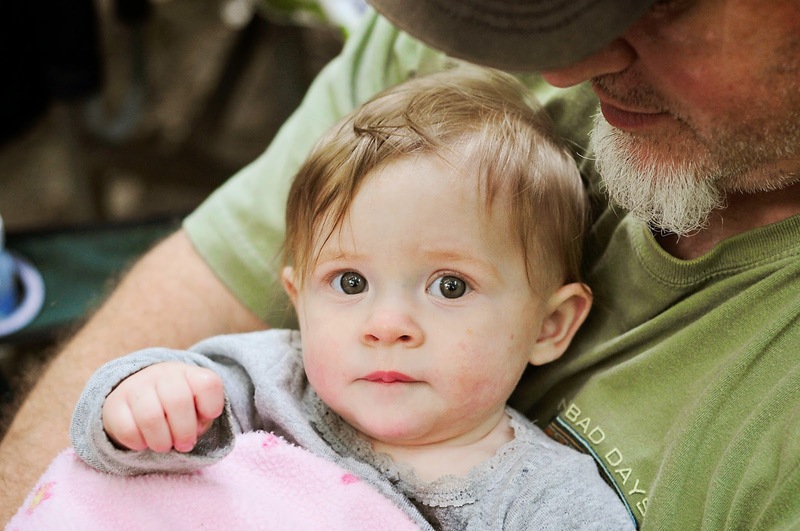 It allows us to put her down, contain her without worry, keeps her off the dirt and provides a place for her to safely sleep. 2. Stroller's are optional but with Finnley we are learning that she will fall asleep on a walk in her stroller and this provides us a place for her to nap. We brought the small umbrella stroller the first time and I felt bad that she was all hunched over while napping. This last trip we brought the big-kahuna with us and she was a happy camper. We actually got a nap in..YAY! 3. Table high chair is a new purchase and I love it. We had one with our older kids and thought we could live without it--we can't. I came home after our first trip and ordered the one you see in the picture. It was awesome and she loved eating at the table with the family. 4. Backpack (not pictured) was another easy to pack item that came in handy on our hike. 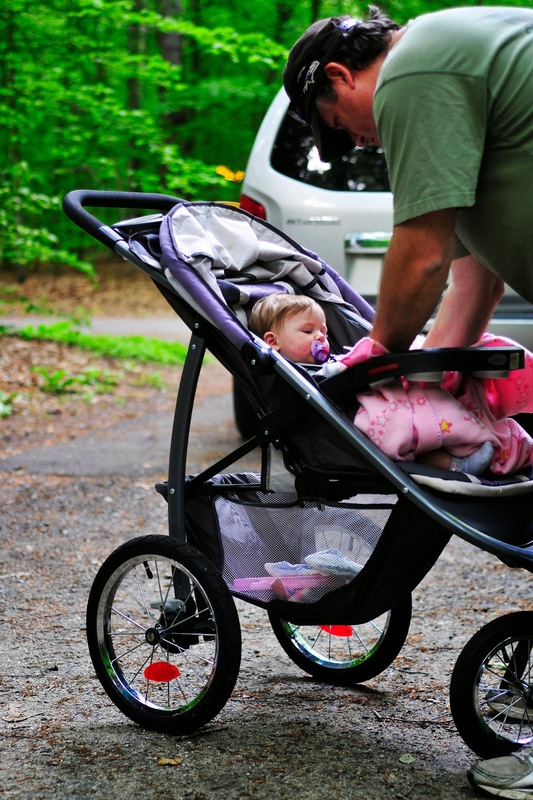 The stroller can't always go into the woods or on the trails. She was able to snuggle right in and take a nap while we walked around the park. Can you tell naps are an important part of her day, and mine too. 5. Bug spray and Sunscreen is a requirement in Maryland. The ticks and mosquitos are relentless when we are camping. I try to buy the safest products I can for our family. Bug spray with Deet is a must. Lyme disease is a big problem on the east coast. We take extra precautions of not applying it to her skin, we apply it to our hands and wipe it on her clothes. We remove her clothes before she sleeps and wash her skin. Please do your own research and make the best call for your family. This is what works for us and our pediatrician has approved this method. 6. Bottles and food. I keep a plastic tub with all of Finnley's kitchen items stored together. This insures that everyone at camp knows exactly where her stuff is. I keep her favorite crackers, teething cookies, formula, Ella food bags, spoons, bowls, bibs, bottles, bottle brush and formula in one dollar store bucket. I know it sounds like a lot and now you can see why I try to keep it all together. I bring enough fresh bottles to last the stay of the trip (1-2 days) OR I boil water and sterilize them at camp. I do this on longer stays. 7. Blankets and bedding are pretty simple. I bring a fresh blanket for each day. I have learned that the blankets can get really dirty from unexpected encounters with tire swings, canoe rides, hiking trails, baby barf (it happens), drool and smoke from the fire. 8. Clothes. Always pack more than you think you will need. Plan on layering your babies clothes. Even the hottest day can have a cool evening. Or sitting by the fire can feel warm and then you walk away and the air is chilly-nilly-willy. <--thats cold! Water. Oh the joy of the unexpected deluge of water that kids find, even babies. Sippy cups have a tendency to make the front of them quite wet. Then I have the bug spray issue. Sleeping is another set of clothes. Diapers that like to explode at the most inopportune times. So, yeah--pack a few extra changes of clothes. 9. Toys are not required but it sure is nice when they have something that is familiar to them to hold and play with. We have even purchased a few new things as an added element of surprise. 10. Patience and realistic expectations. This one is for Mom and Dad. 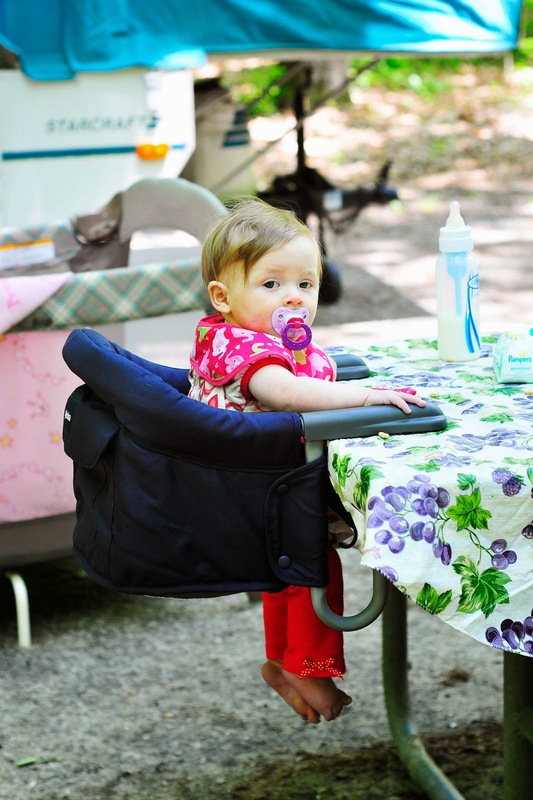 Camping with babies is fun. It is also tiring. I find it nice to camp with other families. This allows for many helping hands to keep babies happy. We have four kids with a wide gap in ages and so I know that Finnley and I will not be able to do everything that is planned. I do my best but I stay flexible. 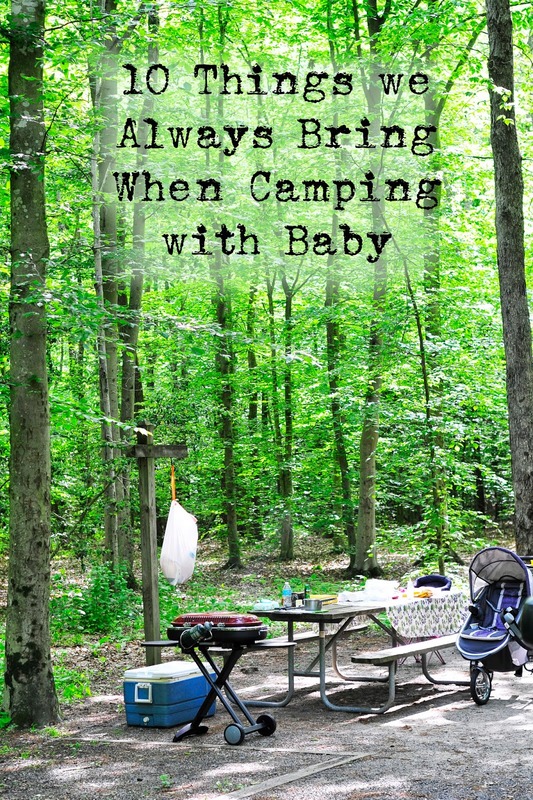 I hope this helps when you decide to go camping with your little guy or girlie. 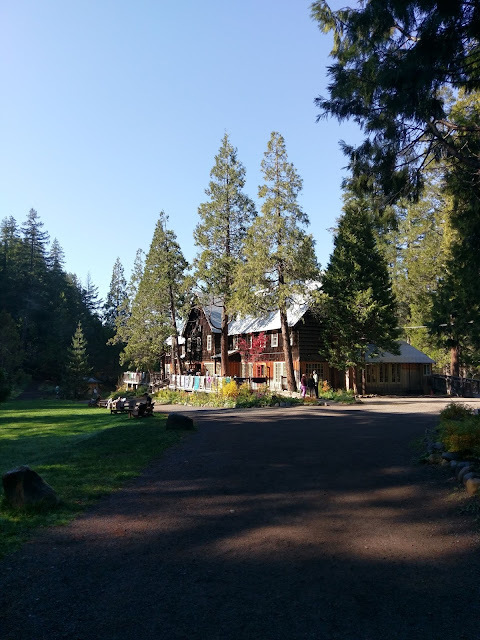 We love taking our kids into the wilderness and introducing them to the sites and sounds. If you have any other suggestions, please leave them in the comment section for everyone to read. As our kids get older our needs change and sharing what we have learned helps all of us that love to camp. 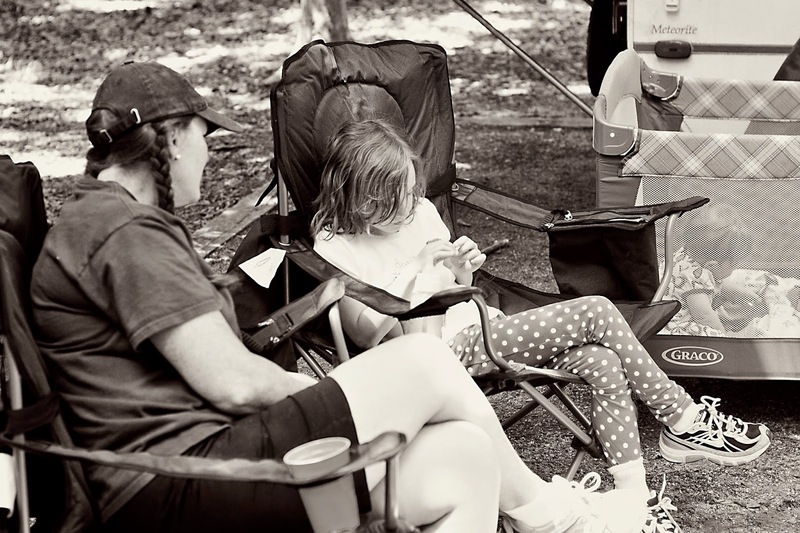 I will say that camping with kids, in general, is a ton of fun but Mom's get tired real fast. 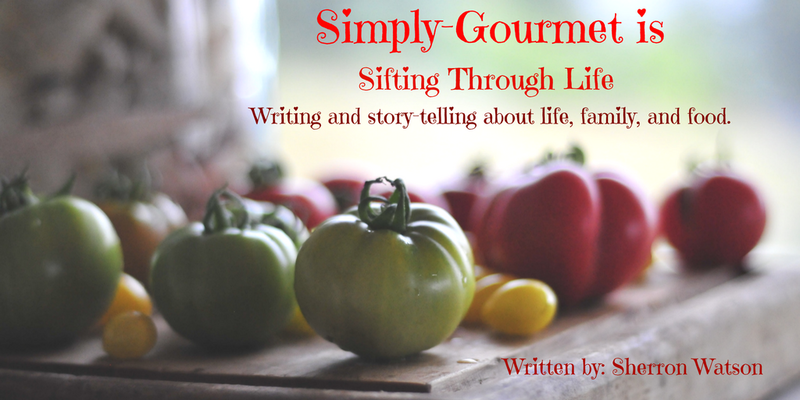 I know this about myself so when it comes to the meals I try to keep things simple. REAL SIMPLE. 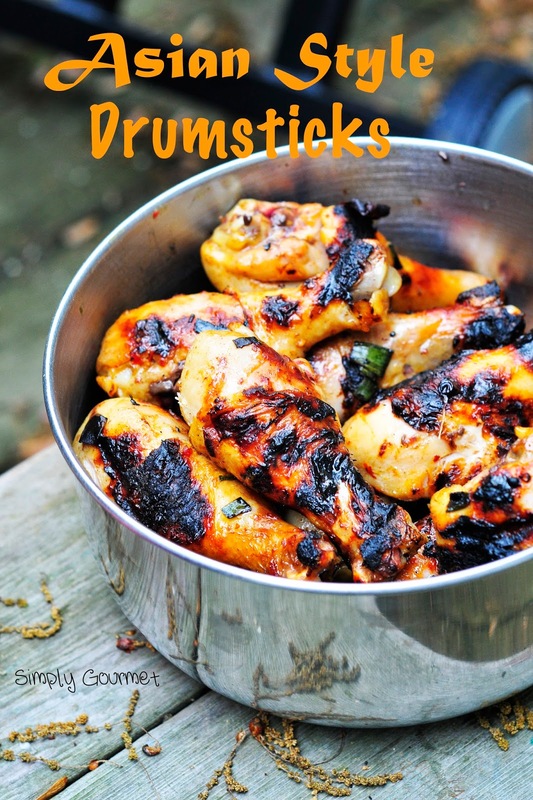 These drumsticks are a family favorite. I make them at home the night before and let them marinate until I am ready to grill them in camp. I bought a new grill to go with our new tent trailer (well, new to us). 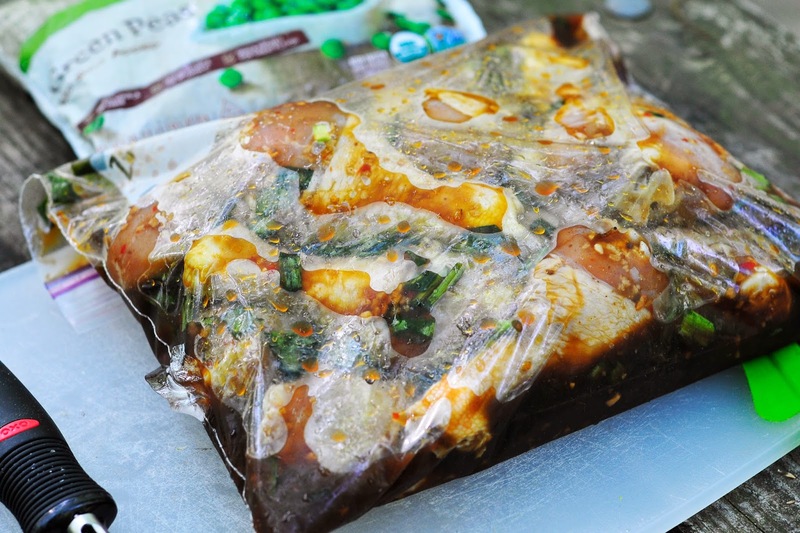 I use heavy duty freezer bags to store the marinating meat in. Storage bags will work but they are a bit thinner. I have also used storage containers but I like the bags because when I am done I can throw it away and not have to wash ONE. MORE. DISH. I love my little food tents. I bought these for $1.00 at the Dollar store a few years ago. 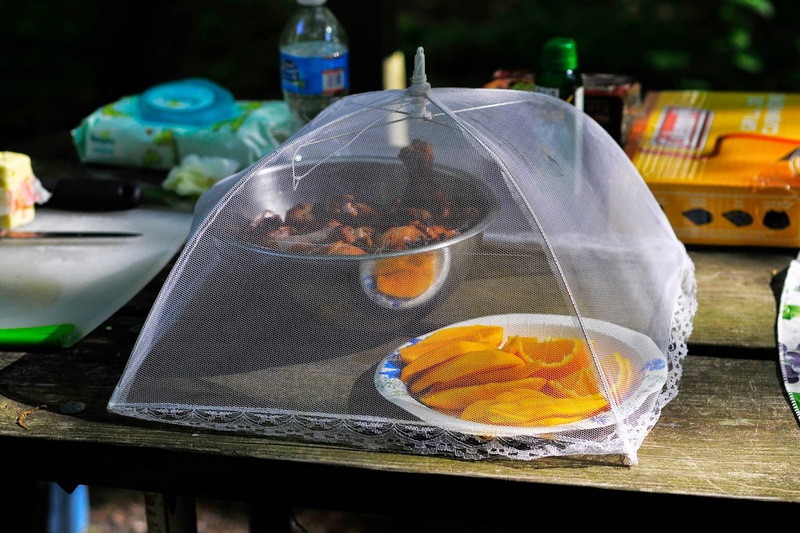 They are great for keeping bugs and little fingers out of the food until you are ready to devour your delicious meal. My kids are always extra hungry when we camp so I make extra food. 1. Combine everything in a large freezer bag or container. 2. Marinate overnight or longer. I have let it sit for 24 hours in my cooler. 3. 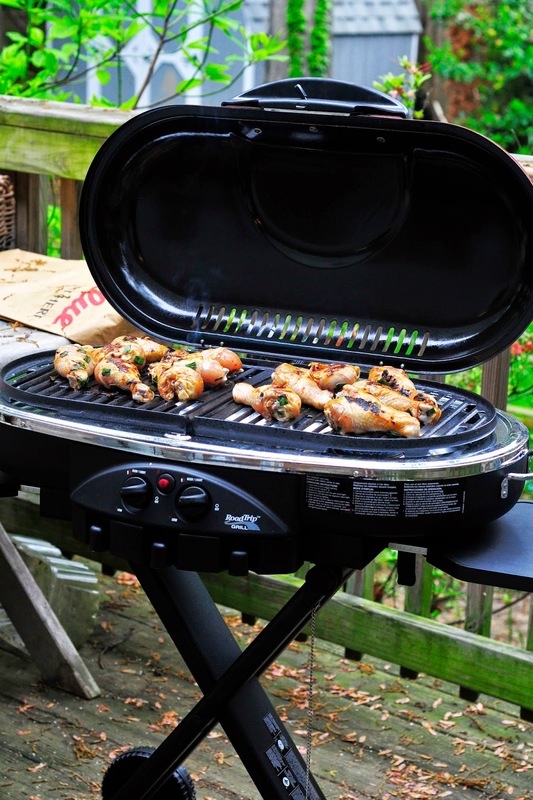 Spray grill with your favorite nonstick spray. Cook drumsticks until firm to the touch. 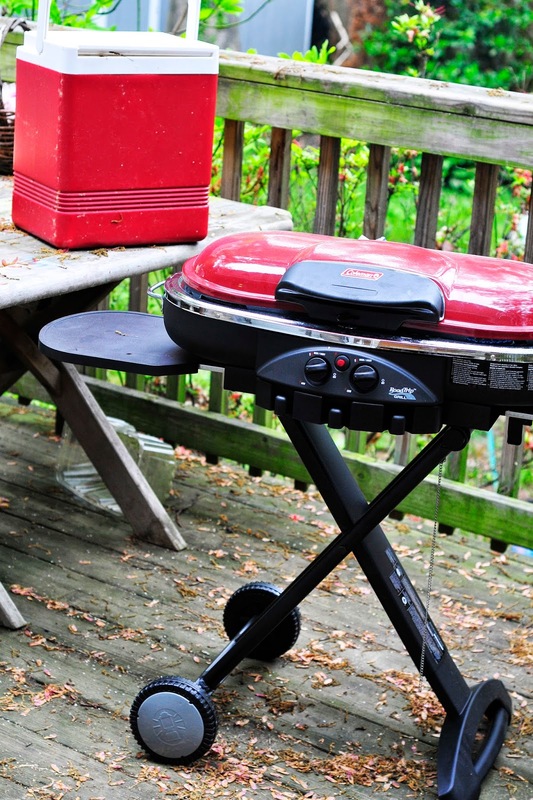 Every grill is different so cook times will vary. 4. Store leftovers in cooler or refrigerator.